Golden Easter Exhibition (21 – 27 March 2016) at Mal Kelapa Gading 2 went great. The dance performance, MC , lady Rose and Princess Ruby successfully attract visitors attention. In an industry where product quality and excellent service is a priority, Rose Jewellery are constantly looking a way to create better experience for customer. To serve the diamond jewelry lovers who are in Depok the area. 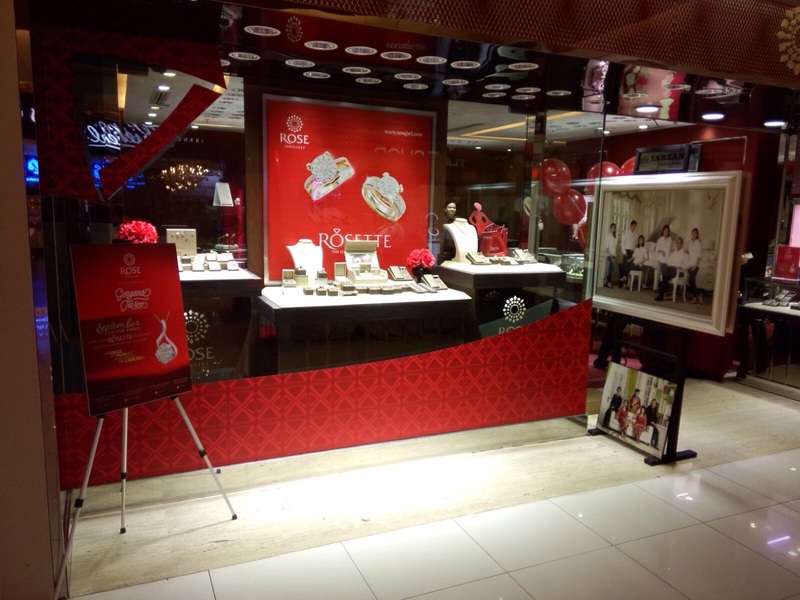 We are proudly presented Rose Jewellery store that opened at Margo City. 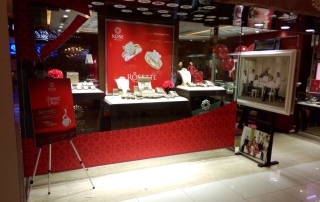 Below is a preview of Rose Jewellery Soft Opening Margo City. It went great. Everyone looks so enthusiastic. 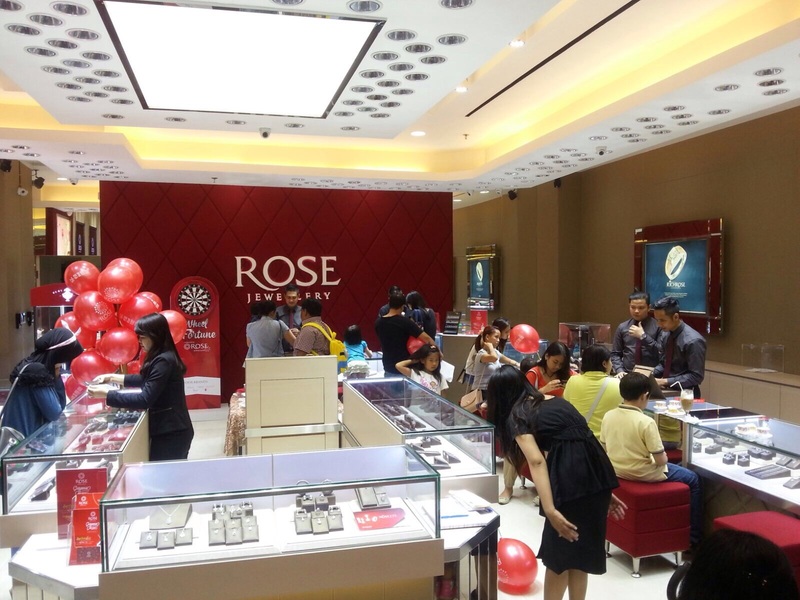 In Rose Jewellery Celebration Of Love Exhibition you’ll get Cash Back up to 80% and the price start from IDR 5.990.000 . Also, there are Modern Dance Performance, Music & Vocal Performance, Photo Contest Competition, Lady Rose & Princess Ruby . Their performance makes people get excited and successfully drawn visitors attention. Come along with your family / friends / partner . Get Cash back up to 80% and more interesting promotion in February. 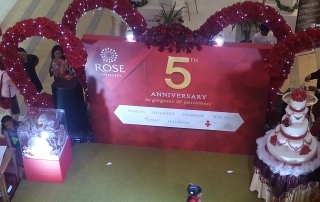 Price start from IDR 5.990.000 only at Rose Valentine Exhibiton that located at Summarecon Mal Serpong 2, Ground Floor. 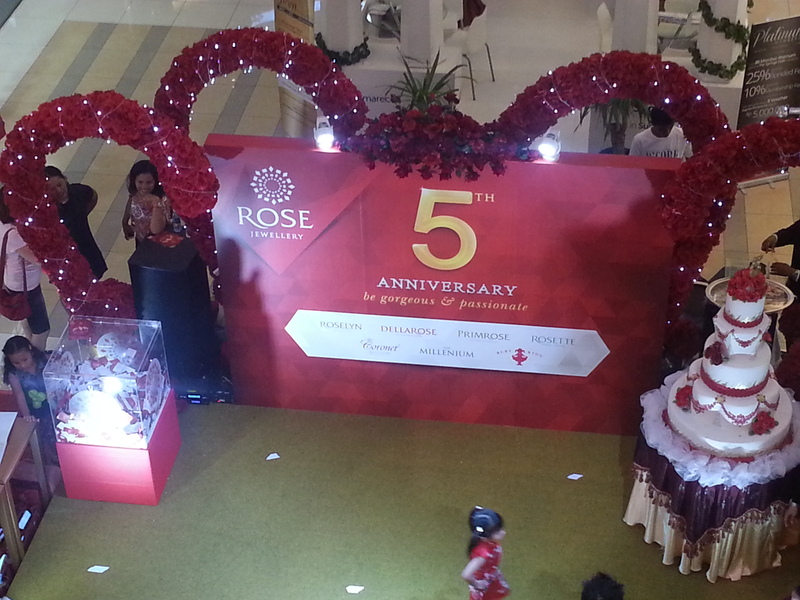 Come to our photo booth on Rose Jewellery Valentine and snap with your love one. Get a chance win an Italian Gold Pendant and Cash Voucher. Thank you for your participation, we look forward to reviewing your entries! Our 5th anniversary party at Summarecon Mal Serpong. Gorgeous Tea Time at Summarecon Mal Bekasi. Some of captured moments during Gorgeous Tea Time at Summarecon Mal Bekasi on 20 September 2015. As you can see, We really love to introduce our collections in unique ways. Visitors could see our collections while drinking a cup of tea, discussing about their favorite jewellery, and We even provide kids’ coloring time for visitors who bring their children. As a special event, We offer some special deals and a chance to participate on Wheel of Fortune. Let’s meet up at our next Gorgeous Tea Time. We would like to have a cup of tea with you. 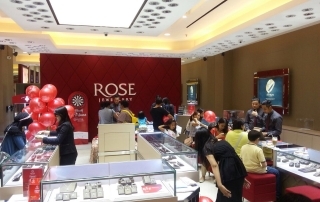 Gorgeous Tea Time at Rose Jewellery Kelapa Gading Mal September, 2015. Some pictures of Gorgeous Tea Time at Kelapa Gading Mal on 19 September 2015. We provide a tea time for our visitors to help them enjoyed their time while seeing and discussing about our collections. We also offering some special deals for our visitors during the event. We would like to meet you at our next Gorgeous Tea Time and have a cup of tea with you.